Hainrihi's Discoveries: To Watch Out For: "The Hunger Games" Movie - Teaser Trailer is Out! 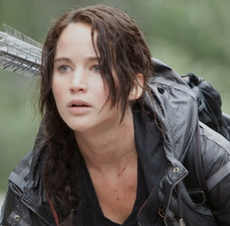 To Watch Out For: "The Hunger Games" Movie - Teaser Trailer is Out! After watching this, I felt a surge of emotions all over my body: excitement, goosebumps, craving for more, and happiness. After days of waiting for this, I finally see a glimpse of what's in store for the live-action movie of one of the greatest Young Adult books in book history. For those who don't know yet: “The Hunger Games” is set in a post-apocalyptic world in the country of Panem where North America once stood and a powerful government and city, the Capitol, rules it. Every year, Panem holds the Hunger Games that is televised for all the twelve districts to watch. The Capitol picks one boy and one girl in each district as tributes to the games and fight to the death until ONLY ONE is left alive. In this case, Katniss is the girl tribute from District 12 because she volunteered to take her little sister’s place, while Peeta Mellark is the boy tribute. Thus starts their adventures in the 74th Hunger Games. First off, the teaser trailer is that---a TEASER. There are a lot of people saying that it's not enough to satisfy the craving of fans as they want more. But, for me, I think it is enough that it has served its purpose---to tease us, to make us crave for more. This trailer made me excited for the movie, which will come out on March 23, 2012, as the trailer shows a taste of the action that will come more in the big screen. All in all, the teaser trailer served its purpose on teasing us and telling us that there is more to what we saw. 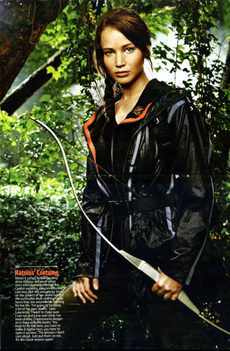 According to Gary Ross, this is just a taste of what's yet to come. "We're still shooting, so unfortunately it's just a teaser. We could only give you a little bit because we're still down here making the movie," he said. "But there's a lot of things to come that I think are going to be hugely epic and very emotional and incredibly powerful." So, I am vying for that, though I will not really have very high expectations. I have learned in the Harry Potter series to never have very high expectations because the movie might disappoint you. I made it a point to put my expectations in the average level then...I'll do that here in "The Hunger Games" movie as well.